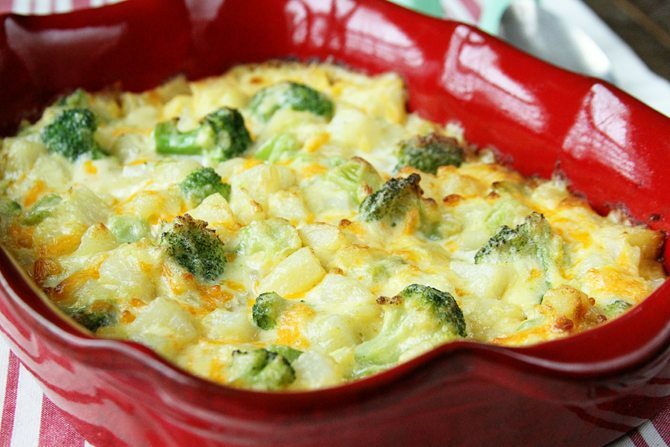 Recently when I made a mashed potato casserole I thought, what a great side dish for Easter. I also thought it would be a great recipe to share with you. Happy Easter and enjoy! Preheat oven to 350 degrees. Peel, boil and mash potatoes. Add all ingredients, except broccoli and shredded cheese, and stir until well combined. Spread mashed potatoes in a well greased casserole dish. Put broccoli on top of mashed potatoes and sprinkle shredded cheese on broccoli. Bake for 20-25 minutes. Since Easter is coming up I’ve been thinking about what desserts to have. I’ve decided to make an oldie but goodie, Blondies. Blondies are like brownies but not chocolately. They do have a great vanilla, buttery goodness to them though. 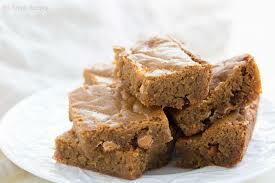 One great thing to Blondies is you can make them your own and add whatever you like or leave them plain. Preheat oven to 350 degrees. Grease a 9×13 baking dish and set aside. In a large bowl thoroughly stir together butter and brown sugar. Next add eggs, one at a time and mixing well. Then stir in vanilla. Gradually add dry ingredients to wet ingredients until completely combined. Fold in butterscotch chips and M&Ms. Pour into greased baking dish. Bake for 30 minutes or until light golden brown. Cool completely then cut into squares. 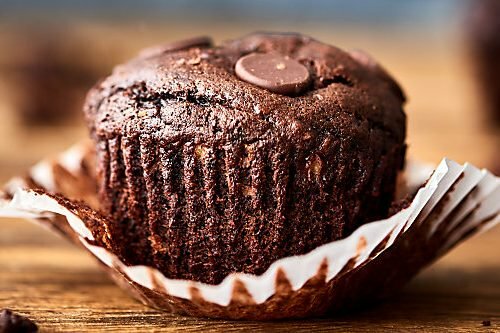 *Cup for cup or 1 to 1 gluten free flour works well in this recipe. **Other ideas: chocolate chips, mini chocolate chips, M&Ms, chopped pecans or walnuts, white chocolate or cinnamon chips, flaked coconut. Asparagus is a great spring vegetable that I like to incorporate in as many dishes as possible. If you need a dish to take to a Lenten dinner or are already planning Easter dinner, Asparagus Rice Casserole will be a hit. Preheat oven to 350 degrees. Place rice, vegetable broth, asparagus, onion, garlic, salt and pepper in a greased 9 x 13 casserole dish and slightly stir to mix ingredients. Place cubed butter throughout the top, cover with foil and bake for 30-35 minutes. Remove from oven. If using cheese, sprinkle on top and bake uncovered for 5 more minutes or until cheese is bubbly. Serve hot. With St. Patrick’s Day coming up, I thought I’d share a recipe this week for an Irish Apple Cake. This is a lighter, moister version of the original. Hope you enjoy! Preheat oven to 350 degrees. In a large bowl cream together butter and sugar. Stir in eggs, vanilla and milk. In another bowl, add flour, baking powder, baking soda, cloves, cinnamon and salt, stir a few times with a fork. Pour dry ingredients into wet and stir just until mixture is combined. 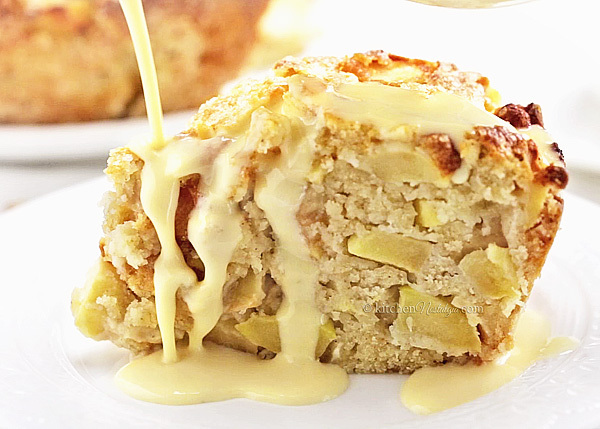 Fold in diced apples and pour into a greased 8×11 or 9×9 pan. Sprinkle cinnamon/sugar mixture on top. Bake for 40-50 minutes. Cake is done when a knife inserted in the center comes out clean. 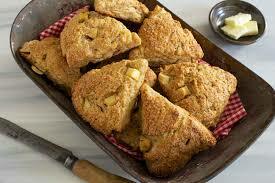 I recently discovered that my granddaughter loves apple scones. I had never baked them before, so I decided to five them a try. I was surprised at how easy and GOOD they are! Hope you enjoy them. Preheat oven to 350 degrees. Line a cookie sheet with parchment paper and set aside. In a large bowl, mix together flour, cinnamon, sugar and baking soda. Add the butter and mix together with clean hands until dough is crumbly. In a separate bowl mix egg, yogurt and vanilla together. Fold wet ingredients into butter/dry ingredients. Do not over mix. Gently fold in diced apples just until dough is holds together. Turn dough onto parchment covered cookie sheet. Use floured hands to form dough into a circle about 9 inches round and 1/2 inch thick. Cut into 8 triangle pieces (like a pizza). Separate pieces slightly. Sprinkle scones with cinnamon/sugar. Bake 20-25 minutes or until light golden brown. Completely cool before serving. *Serve with butter, jam or lemon curd. With Valentine’s Day approaching, I thought I’d share a jazzed up version of chocolate chip cookies. By adding maraschino cherries the cookies are more festive looking and they add a little extra flavor. These cookies are buttery soft and melt in your mouth good! Preheat oven to 350 degrees. Line cookie sheets with parchment paper. Beat butter and sugars together until light and fluffy. Add eggs one at a time mixing well in between then mix in cherry juice. In a separate bowl mix flour, baking soda and salt. Gently stir dry ingredients into wet ingredients then fold in mini chocolate chips and chopped cherries. Refrigerate for 1 hour. Remove from refrigerator and scoop cookie dough by the tablespoon or by using a small scoop, onto the cookie sheets. Bake 10-12 minutes. Allow to sit on the cookie sheets for 2 minutes before transferring them to cool. Cool completely before storing in an airtight container. 10 oz. jar halved maraschino cherries – Place half on top of each cookie before baking and press down a little. Gives the cookie an even nicer presentation. Add a couple of drops of red food coloring to make a pinkish color cookie. 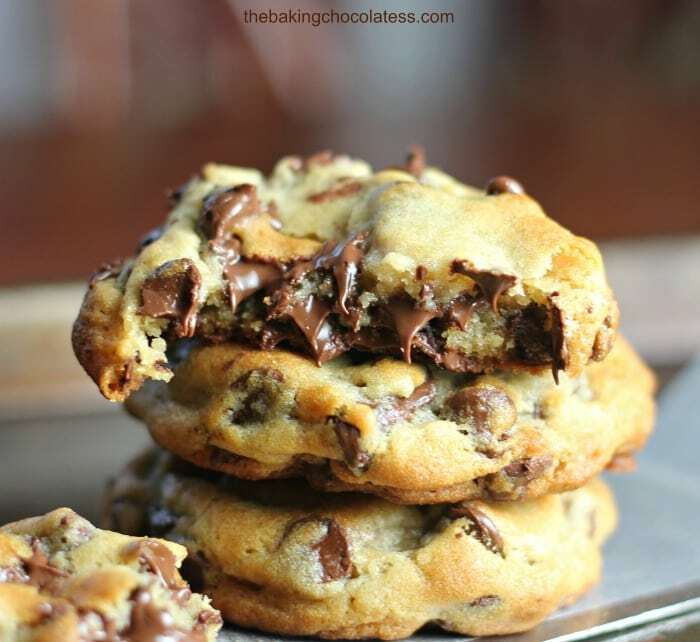 Once cookies are cooled make a chocolate drizzle by melting 1/2 cup chocolate chips and 1-2 tbsp. of Crisco. When melted and smooth drizzle chocolate over cookies with a spoon and cool before storing them in an airtight container. While my team may not be in this year’s Super Bowl it doesn’t mean I won’t be watching. In order to watch though I need to have snacks and lots of them for my family. 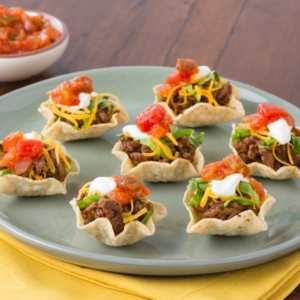 This week I thought I’d share a couple of easy recipes to enjoy while you’re watching the game too. In a skillet cook ground meat and onion until browned. Stir in taco seasoning and water, simmer for 5 minutes. Place phyllo shells in mini cupcake pan and spoon in taco mixture into each shell. Bake 6 minutes. Sprinkle with a little cheese on each and bake for about 2 minutes longer. Place on a platter to serve. Everyone can add their own toppings. If you’ve seen a recipe for Flourless Banana Pancakes before and haven’t tried them, be sure to try this recipe. Trust me you won’t be sorry. 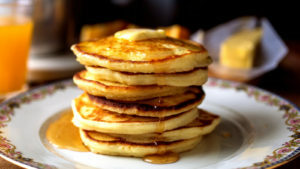 These pancakes are a big hit with the kiddos; my grandson proved that to be true! Put all ingredients (except nuts and chocolate chips) in a blender and blend until smooth. Melt butter in a hot skillet and pour 1/4 cup of batter per pancake and cook on each side until done. *If using nuts or chocolate chips sprinkle them on each pancake after pouring batter on hot skillet. **These are great served with maple syrup or my favorite, peanut butter. As so many dreary, rainy days go by I find myself looking for soup recipes. This week I’d like to share a recipe for roasted vegetable soup. It does take some time to prep this soup but the flavor is well worth it. Preheat oven to 400 degrees. Line a baking sheet with foil or parchment paper and toss squash, carrots, celery, potatoes, onion and tomatoes with olive oil and salt and pepper. Cook for 45 minutes to an hour. Remove from oven and cool enough to blend. Put half of the roasted vegetables in a large pot, 2 cups of vegetable broth and blend vegetables using a submersion blender. (If you don’t have one put vegetables in a blender with the broth. Do it in 2 batches if needed then add it to a large pot.) After blending for a minute or 2, add the remaining broth, vegetables, bay leaves, garlic, kale and beans, if using. Bring to a quick boil, then simmer on low heat about 15 minutes. *Remove bay leaves before serving. **If blending is not an option a potato masher can be used to just roughly mash half of the roasted vegetables with 2 cups of broth.